okay, well my link is www.suyinsays-suyinloves.blogspot.com and sorry to sound so stupid, but what is a blogroll? hahahaha im so dumb! and im sure i dont even need to say it, but you look great! loving those wedges! okay, thank you, thats soo nice! very cute! love ur blog as well! Ahhhh u scored the F21 cross ring!! Been searching for it all over nyc! 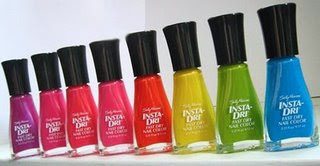 Def have to try that nailpolish. Such pretty pretty colors! needless to say, you look great in casual style. you look so comfy and well, thumbs up! gorgeous look and i LOVE the shoes!